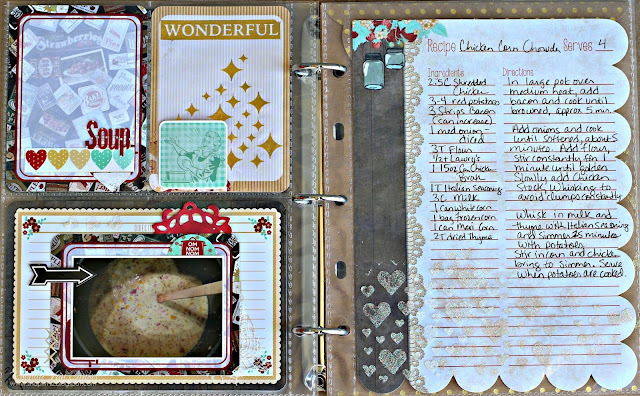 The BoBunny Blog: Marvelous Misc Me Recipe Binder! Marvelous Misc Me Recipe Binder! I was so excited to see our newest collection "Kiss The Cook"! In the past I had started a Misc Me cookbook to feature some of my favorite recipes that I make for our family. A few simple rules for my project: 1. It has to have my own handwritten instructions. 2. 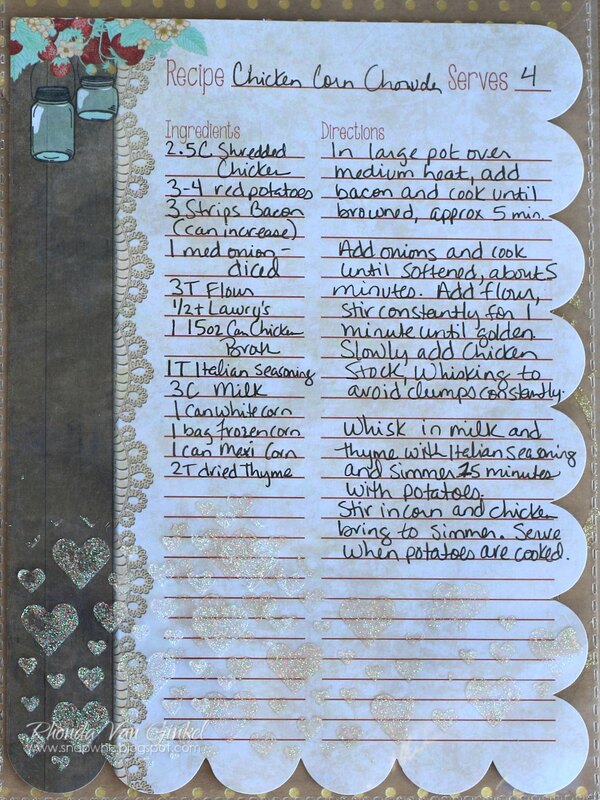 The recipes are those that I make and like. 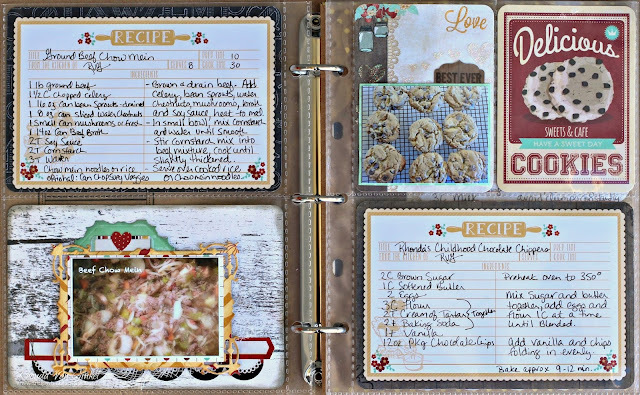 As this is a project that will grow, I mixed the types of recipes together for now. Later on, I arranged them in such a way that I can easily move them within the binder. How fantastic is that? 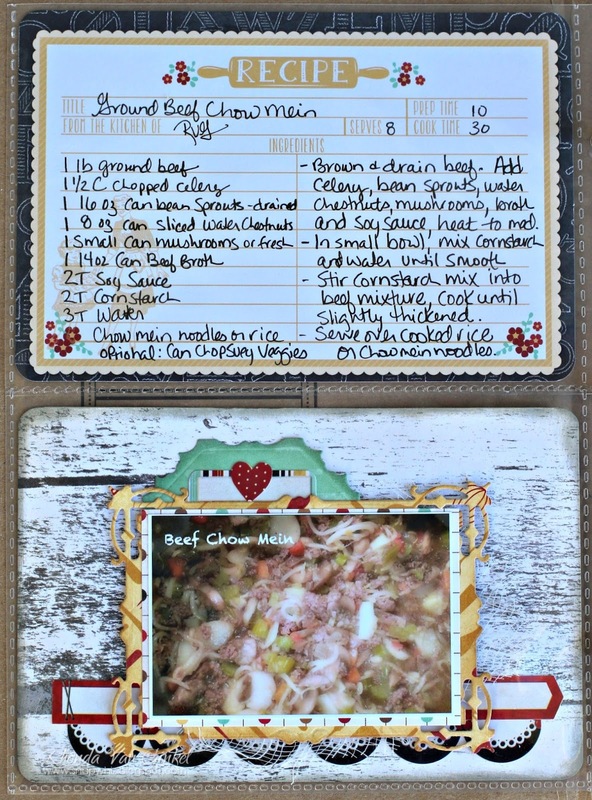 To begin, I documented one of my favorite recipes, Beef Chow Mein, I have used a few of the dies from our 3x4 Lattice Frame as a mat along with Combo Stickers. 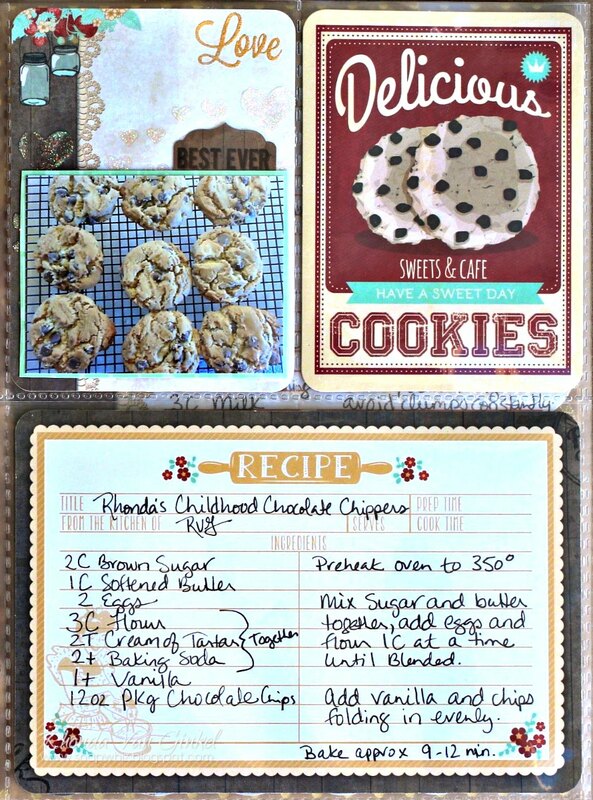 My next page is all about my favorite Chocolate Chip Cookie recipe. I wanted a photo of the cookies included with the recipe. I love that you can really take your own direction with Misc Me. The next page is all about the soup. Living in a cold weather climate, we consume a lot of casseroles, stews and soups. This one is a chowder that I fell in love with. You can see accents of Glitter Paste here with Gold Foil Transfers and Combo Stickers. 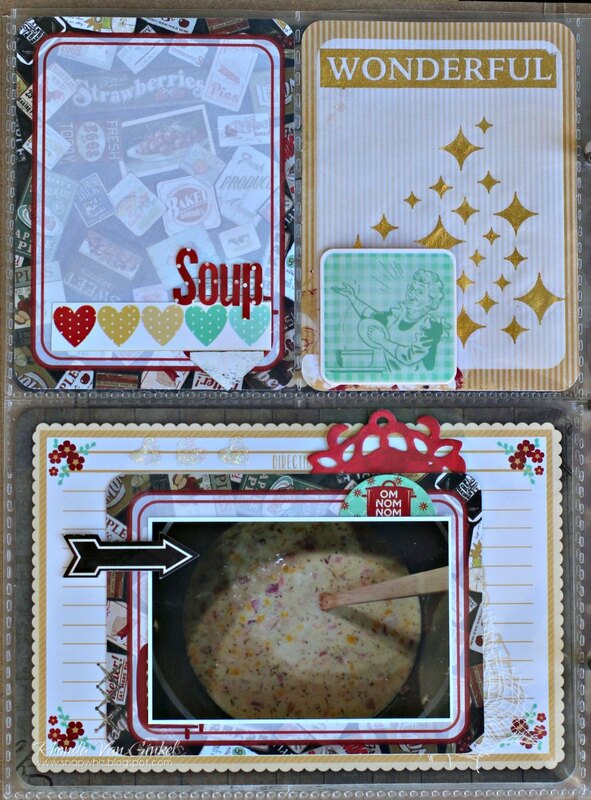 Using the Misc Me Recipe Contents sheet, I wrote up the instructions for the Chicken Corn Chowder, in the white space remaining I used some Sugar Glitter Paste with Lots of Love Stickable Stencil and added accents. I also added some on top of the page protector. That's all for me today, thank you so much for stopping on over for a visit! This cookbook is fabulous. Love all the fun embellishments and photos. And can't wait to try some of your recipes, Rhonda! We're having Chicken Corn Chowder tonight!